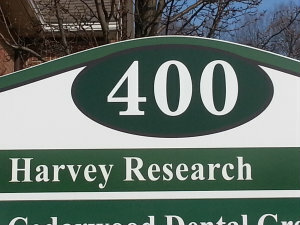 About Harvey Research - Harvey Research, Inc.Harvey Research, Inc. In the early 1950’s, a Rochester, N.Y. advertising agency, Rumrill-Hoyt, had an internal research department that specialized in researching the performance of print ads that were created by the agency. At some point the agency’s management decided that there could be a perception of conflict of interest among their clients like Kodak, DuPont and Corning by researching their own ads. In 1953 the research department was spun off from the agency and given to its research director, Jean Harvey. Thus Harvey Research was established as an independent research company specializing in print ad and publication content research. Since 1953 the company has become very well-regarded for providing independent, objective and highly professional research for thousands of advertisers and content publishers throughout North America, Europe and Asia. As the publishing world has evolved, Harvey Research has evolved with it. Today we specialize in helping content publishers document their total audience and understand how their advertising and content is received across all channels including print, websites, mobile apps, e-newsletters, events, etc. We continue to work with publishers and advertisers to document advertising effectiveness. If you’d like to learn more about Harvey Research, please contact us.